A newly posted ambassador to the United Nations required a family residence as well as a space of representation and entertainment. The starting point is an an uncared for apartment last touched in the 70s but in a grand pre war building with a spectacular NY river view along all the rooms. The challenge was to renovate, designated decorate both for family comforted elegant entertainment in a style representative, using artwork and furnishings produced by artisans and artists from that country. Restored pre war detail brought out the apartment’s hidden elegant structure. Bathrooms were updated for contemporary comfort. The kitchen was fully reconfigured to accommodate family breakfasts as well as catering functions with double dishwashers and refrigerators. 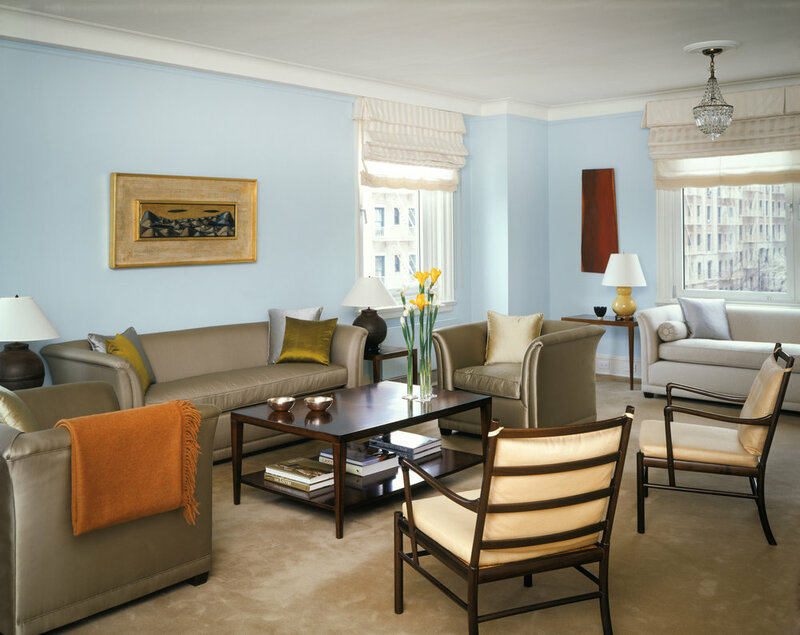 Furnishings were restored and re-upholstered in fine natural fabrics in soft neutrals that could act as a worthy canvas for highlighting art and objects of the country.